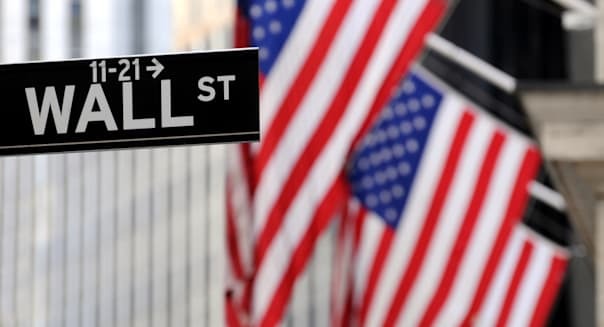 NEW YORK -- This week's back-to-back equities sell-off might have been a chance to ride a U.S. stocks rally towards the end of the year, amid the goldilocks economy scenario of a strong job market and falling oil prices. The S&P 500 rallied 2 percent Friday to eke a slight gain for the week, the ninth up week out of the last 10, after the U.S. economy added more jobs than expected in November in a show of the economy's resilience. The data likely paved the way for the Federal Reserve to raise interest rates this month for the first time in nearly a decade, while still keeping the U.S. central bank committed to a shallow and slow pace of increases. %VIRTUAL-pullquote-I see nothing on the calendar outside a geopolitical event that is going to make them [the Fed] change course at this point.%"The story today in the U.S. is growth with modest inflation, which is great for equities," said Paul Zemsky, chief investment officer, multi-asset strategies and solutions at Voya Investment Management in New York. "I see nothing on the calendar outside a geopolitical event that is going to make them [the Fed] change course at this point," he said. Markets have for weeks expected the Fed to raise rates after its Dec. 15-16 meeting. Earlier in the week, stocks sold off after the unwinding of short bets on the euro seeped into most asset classes. The euro posted its largest daily gain against the U.S. dollar in more than six years on Thursday after ECB President Mario Draghi's statement fell short of expectation for further easing. Some of the selling was related to leveraged funds that were likely forced to close positions as volatility jumped. According to Bank of America (BAC) research, these funds, which were heavily involved in the dramatic stocks sell-off in late August, had returned to the level of leverage they had prior to that downturn. Draghi said Friday the ECB could deploy more stimulus if needed, leading traders to reestablish short positions in the bloc's single currency. "In many ways he was trying to undo some of the damage from the perception that he didn't do enough," said Quincy Krosby, market strategist at Prudential Financial in Newark, New Jersey. In contrast to Draghi, she said, Fed Chair Janet Yellen isn't expected to surprise markets. "As long as she sticks to the script that she wrote the market shouldn't be shocked. The market is again factoring in the rate hike, today's good [payrolls] news should be good news that ultimately is a positive." Adding to the strong job data as a bullish stocks catalyst, crude prices resumed their fall after news that the Organization of Petroleum Exporting Countries was planning to maintain its production near record highs despite already depressed prices. "The headwind of falling oil in 2015 in terms of earnings will become a tailwind in 2016," said Steve Chiavarone, associate portfolio manager at Federated Investors in New York, pointing to the benefits of lower oil prices for main street. "When you take a wide look at the consumer, not just retail sales, the consumer looks healthy." Retail sales data out Friday could confirm the upbeat state of consumers heading into the key holiday season. The end of year seasonality could also be supportive of higher stock prices. December is historically the best month for the S&P 500 (^GSPC) according to data from the Stock Trader's Almanac. "We should enjoy the rally and perhaps wait until we transition into the new year to focus back on fundamentals," Krosby said.